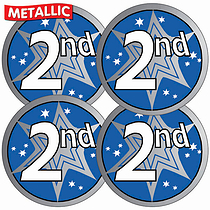 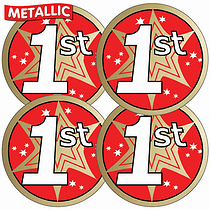 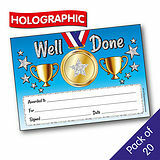 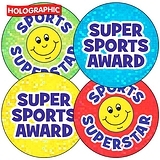 Metallic and Holographic Sports Day Stickers Value Pack. 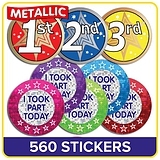 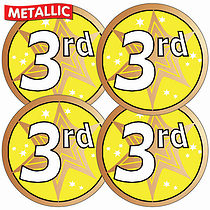 This Metallic and Holographic Sticker Value Pack contains 560 stickers that are ideal for using on your school sports day or at sports events. 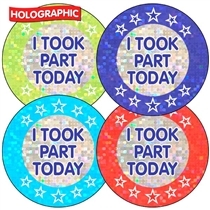 All stickers are 37mm in diameter and printed on high gloss Metallic/Holographic sticker paper.